If you are looking for an elegant, practical and affordable vehicle come see the new Kia Sportage in Odessa, Texas. This small but versatile SUV is packed with first class features and available without the first class price. The Sportage is an economical choice for families and business travelers alike. 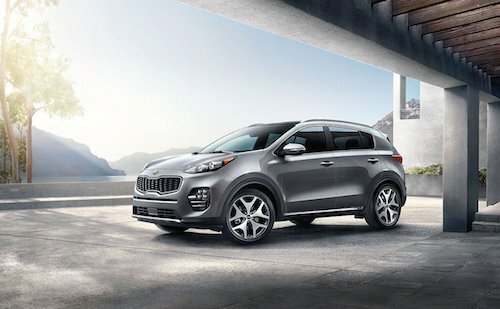 The Sportage is offered with three engine types, the LX and EX models have a Gasoline Direct Injection engine that delivers 182-horsepower. The Sportage SX has a turbocharged engine with an increased 260-horsepower. The spacious cabin can comfortably transport five adults and rear seat passengers will enjoy reclining seats. If cargo room is needed, the rear seats fold down to accommodate everything from snowboards to groceries. We have a nice selection of these innovative Kia models in stock now. Why not stop by and test drive a new Kia Sportage in Odessa, TX?